Introducing the stunning Santorini Dreams Shirt dress, it’s a midi length allowing you to show off those legs in the summer and keep cool. With a button enclosure this shirt dress is sure to look fabulous on the beach. Banned Apparel have succeeded again with this fantastic blue shirt dress. Because Voodoo Vixen thinks of ladies’ comfortable feeling and elegance look, Voodoo Vixen gives you the opportunity to add the most beautiful Jasmine Mint Sleeveless Shirt to your wardrobe for summer season. Jasmine Mint Sleeveless Shirt by Voodoo Vixen helps you to feel comfortable in hot weather because it is very soft and light. If you want to be chic and have elegant look with feeling of free, you should have this Jasmine Mint Sleeveless Shirt by Voodoo Vixen. The collar in Jasmine Mint Sleeveless Shirt by Voodoo Vixen adds to the elegant look and takes you back to the most clothes elegant time. Black classic pants will suitable Jasmine Mint Sleeveless Shirt by Voodoo Vixen the best it will fits all styles. There are more than one color from Jasmine Mint Sleeveless Shirt by Voodoo Vixen, It comes in the most elegant colors (Pink, Black, and Red) are available too. Don’t worry! You can find your size as Voodoo Vixen presents Jasmine Mint Sleeveless Shirt in all sizes from small to extra large, and it fits all body shapes. Jasmine Mint Sleeveless Shirt by Voodoo Vixen comes in 60 % Cotton for the best thickness and comfortable to fit hotness in summer days, 35 % Nylon for silky touch and the ability to wear and wash and 5 % Elastane for your clothes elasticity. Voodoo Vixen presents Jasmine Mint Sleeveless Shirt with the best guarantee for the long time wash as it guarantees the fabric , paintings and colors, so feel free to have this product and wear it as you like without worrying. If you like Jasmine Mint Sleeveless Shirt with its four colors you can find it at clothing stores that presents elegant, soft and chic clothes in UK, Egg n Chips Clothing, London. Now you have the best purchasing opportunity to buy Jasmine Mint Sleeveless Shirt with money back in the first 14 days after purchasing. So don’t miss it. Women’s Louis Retro has a big surprise for all special ladies. Women’s Louis Retro Yellow Top Features is a summery yellow knitted top gives your look more joyful. Women’s Louis Retro Yellow Top Features comes with ruffled sleeves and collar sleeves. Its chest is pleated to be fitted enough and the neck is scooped with tie up bow to fit more than one size. Women’s Louis Retro Yellow Top Features has the design of cut-out polka dots. Women’s Louis Retro Yellow Top Features comes with a comfortable stretch to fit the size and give your more comfortable feeling when your moving in any way. It will be fantastic and beautify your look if you wear it with blue-black jeans. You can wear high waist pants and put the top inside it or low waist one and leave the top out, it will be nice in any choice of you. Women’s Louis Retro Yellow Top Features comes in 100 % polyester. Women’s Louis Retro presents this Yellow Top Features in some different colors red (Maria) and Cream (Francine) to widen the choosing options to fit most women needs. Each women has the freedom of wearing and washing this product as Louis Retro guarantees the experience for washing for long time, an excellent immovability for the fabric, and resistance against pallor. All ladies can find Women’s Louis Retro Yellow Top Features and wear it , it doesn’t matter if she is thin or fat as it is available in all sizes from small to extra large . only at clothing stores in UK , Egg n Chips Clothing, London you can find Women’s Louis Retro Yellow Top Features . Don’t feel worry or have any doubt in asking about Women’s Louis Retro Yellow Top Features and have the most comfortable feeling ,modern and stylish summery look with money back in the first 14 days after purchasing. If you feel sad because you see yourself little fat and can’t find suitable swimsuit and if you find your size you don’t like its look or color ,Don’t worry and think any more because now Banned Apparel gives each lady the opportunity to wear the incredible swimsuit and feel more confident with Cream Parasol Ruching Swimsuit Plus Size . Cream Parasol Ruching Swimsuit Plus Size by Banned Apparel cream color gives your eyes comfortable look . Cream Parasol Ruching Swimsuit Plus Size by Banned Apparel has a great combination between cream and other colors give the cream more joyful look in summer days on beach . Cream Parasol Ruching Swimsuit Plus Size by Banned Apparel is a backless and halter neck to give you fantastic look and freedom movement. Cream Parasol Ruching Swimsuit Plus Size by Banned Apparel comes in 80 % nylon for strength and elastic and 20 % elastane for perfect fitness. When you are out of sea wear cream sandals with it to give it the best look you will have ever . Banned Apparel is caring of you our best lady and don’t wan’t you to be embarrassed because over weight and gives you the freedom of wearing and washing this product and guarantees the experience for washing for long time, an excellent immovability for the nylon fabric, and resistance against pallor for printings . All of you our best ladies can find this product and wear it , it doesn’t matter if you are thin or fat as you will be happy in the sea and on the beach with 2xl , 3xl and 4xl sizes . only at clothing stores in UK , Egg n Chips Clothing, London you can find Cream Parasol Ruching Swimsuit Plus Size by Banned Apparel. Don’t feel worry or sad anymore and catch this opportunity to have the best feeling of agility when you swim or sitting on the beach in summer days and have Cream Parasol Ruching Swimsuit Plus Size by Banned Apparel with money back in the first 14 days after purchasing . This summer ‘s products are very special for special women although she is young lady or elder woman she will find what she needs with Banned Apparel . Banned Apparel – Blue Dive In Sundress is a mini dress with the fantastic blue color with special white , yellow and black printings . It is little high over knees to show more femininity of your look . Banned Apparel – Blue Dive In Sundress comes with dive printings to fit with the blue color and the summery look . Banned Apparel – Blue Dive In Sundress comes with V-neckline in front and round in back for best feminine look and sleeveless to fit hot summer days . Banned Apparel – Blue Dive In Sundress comes in 95 % viscose for best flexible feeling and suitable for hot days and 5 % elastane for excellent fitness. For best feminine look just wear it with red high heels shoes , it will be fantastic and Snatching attention . You will surly find your size from Banned Apparel – Blue Dive In Sundress because it is available in all sizes from small to extra large . Each women has the freedom of wearing and washing this product as Banned Apparel guarantees the experience for washing for long time, an excellent immovability for the fabric and printings , and resistance against pallor. 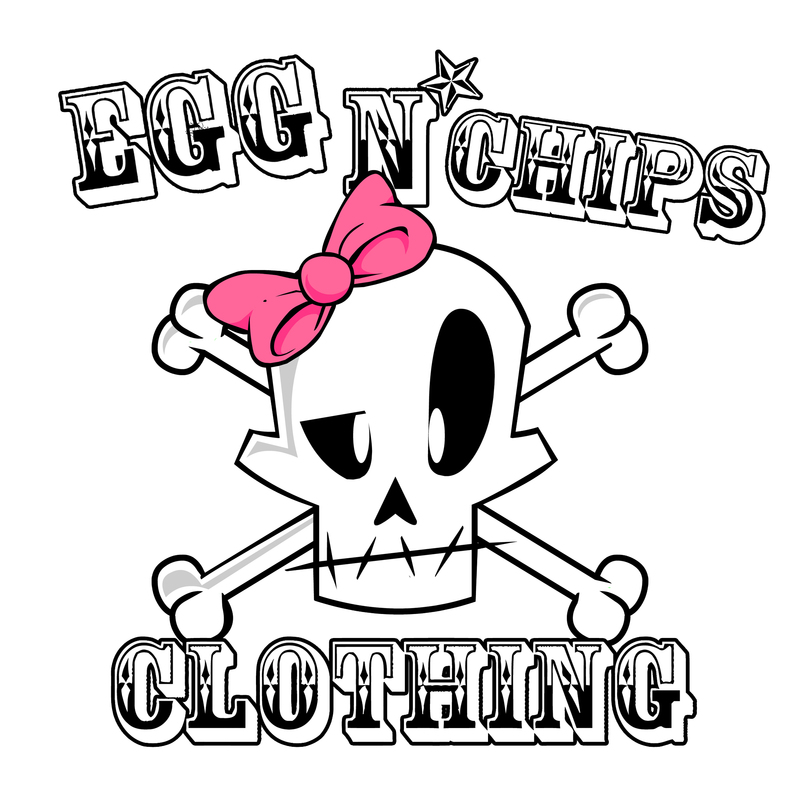 You can find Banned Apparel – Blue Dive In Sundress only at clothing stores in UK , Egg n Chips Clothing, London . Don’t feel worry or have any doubt in asking about Banned Apparel – Blue Dive In Sundress and have the most comfortable feeling ,modern and stylish summery look in hot summer days and have the best chance with money back in the first 14 days after purchasing .